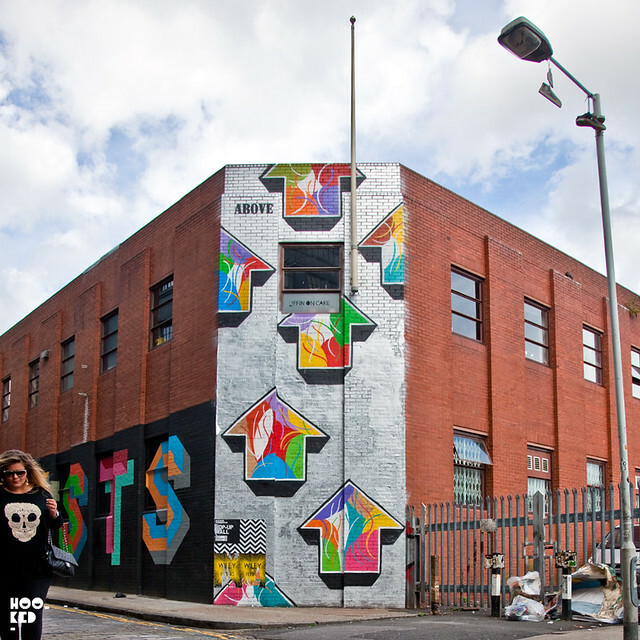 American street artist Above has been in Europe the last month bouncing back between London and Paris creating new works during his visit to both cities. London has seen a number of new shutters redecorated in Brixton and Shoreditch (covered here) from the artist and last month we featured Above's fantastic site specific stencil piece 'Timing Is Everything' on the blog (covered here), a piece which came to life at night-time by making use of street furniture shadows . Following his return from Paris we finally managed to catch up with Above, having missed him earlier in the month at the VNA Issue 15 magazine launch party at Lazarides Gallery. 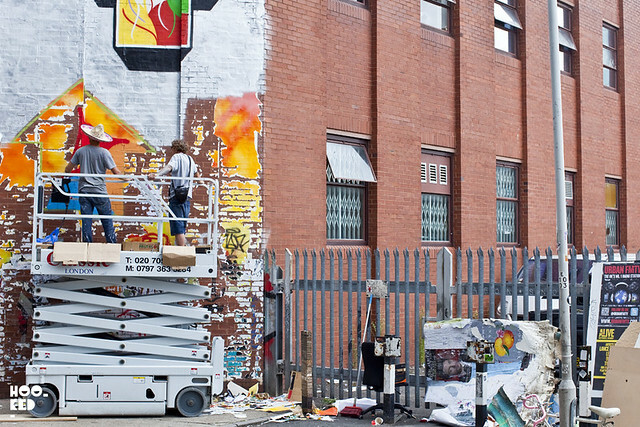 The artist was as work on this end wall of the Londonewcastle Project Space building when we took these pictures, adding even more colour to the already vibrant Ebor Street in East London. More from Above in London soon!